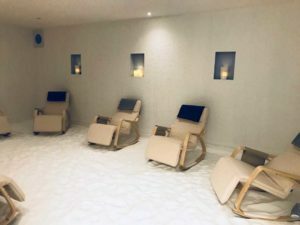 You will be forgiven if you have never heard of salt therapy before; although huge in Eastern Europe, it is slowly becoming more popular in the UK. Salt has been used as an anti-inflammatory, as well as for its anti-bacterial properties for hundreds of years. In fact, even the ancient Greeks were fond of it; and remember how ‘in the olden days’ we were sent to the seaside to breathe in the sea air if we weren’t well? It’s the same concept! Salt Revive is proud to continue this ancient tradition and is, in fact, Yorkshire’s only salt therapy centre. It is a natural, 100% drug free, treatment. Although we welcome people of all ages, offering adult orientated sessions (as well as yoga and chairobic classes), we also offer sessions aimed specifically at children, as respiratory and skin conditions can strike at any age. Our family room has toys, games and even a TV to keep the little ones entertained. There is salt on the floor and in the atmosphere which delivers the therapy whilst little ones are busy playing. 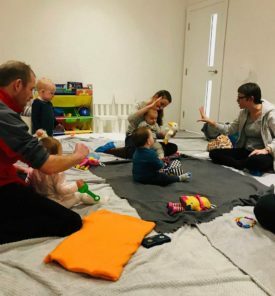 For those wanting a little extra, we also offer imaginative classes to engage with the younger children (who have to be over 6 months), including baby signing and even a singing and instrumental group – we call this the ‘Little Salty Rock Star’ class! We even do a Salty Yoga session for children age 5+! Salt, as a natural mineral, has many qualities and we may be able to offer you and your little one respite from a range of conditions, including Asthma, Eczema, Psoriasis, COPD etc. It could even help you both to shift those coughs and colds a bit sooner. There are plenty of other reasons to come along. It is a great way to meet new parents, a good way for your children to make new friends and we offer delicious complimentary posh teas and coffees! All of which takes place in a healthy, relaxed environment. For your free consultation or to arrange a session, please call us on 01482 679453. You can also email us at enquiries@saltrevive.com, or visit our Facebook page or website here. 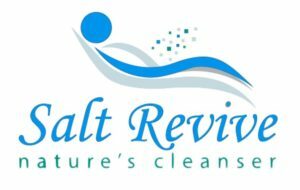 Find Salt Revive at 85 Mill Lane, Beverley, HU17 9DH.